A variety of documents and materials contain information on the Department of Operational Support (DOS), its role in the UN System as well as its activities and services. In addition, DOS produces various publications each year, including fact sheets, brochures and manuals. In the sections below you can browse through the latest documents or explore our archives. UN Photo/Cia PakMiroslav Lajčák, President of the seventy-second session of the General Assembly, addresses the Assembly at the conclusion of its annual general debate. 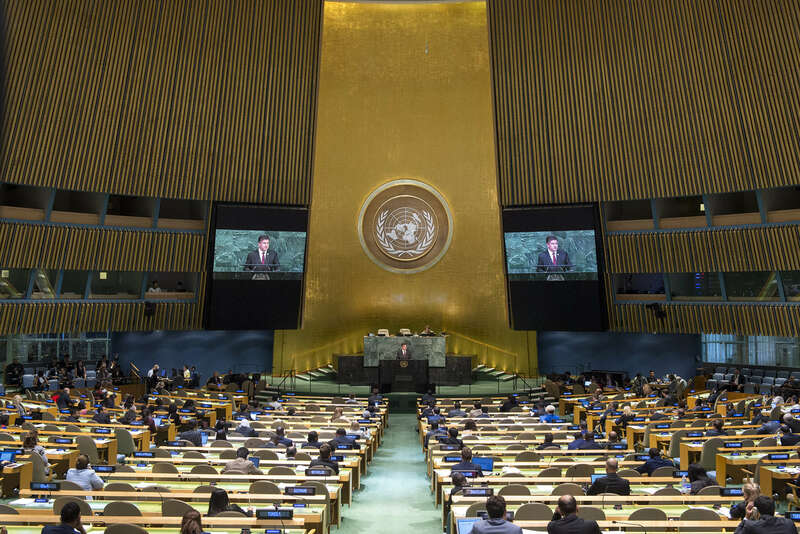 This section contains DOS-related resolutions adopted by the General Assembly as well as Reports of the Secretary-General relating to our services. Here, you will also find other reports containing fundamental and supplementary information to the former. This section contains a variety of other publications, indlucing fact sheets, brochures and manuals produced by DOS and its stakeholders.